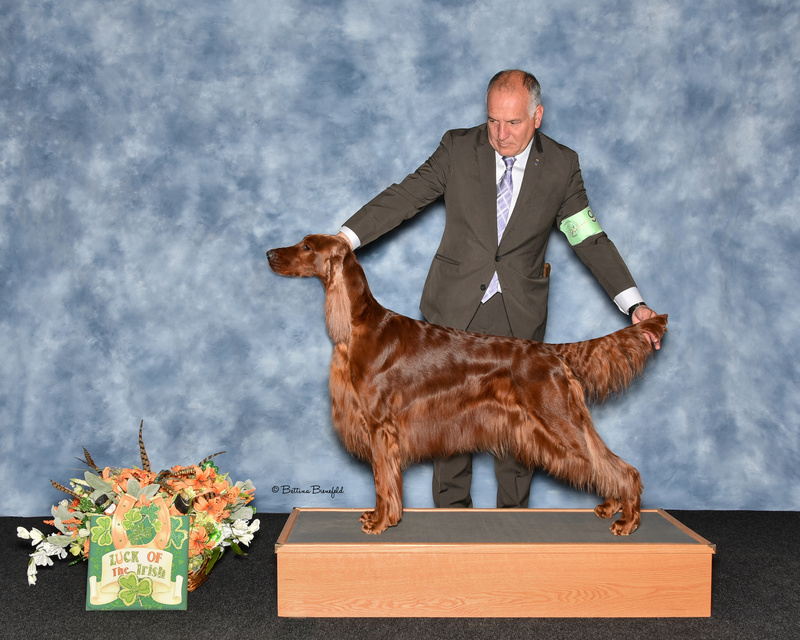 Abby finished her AKC Championship winning back to back Specialty Majors at the Irish Setter Club of San Diego. 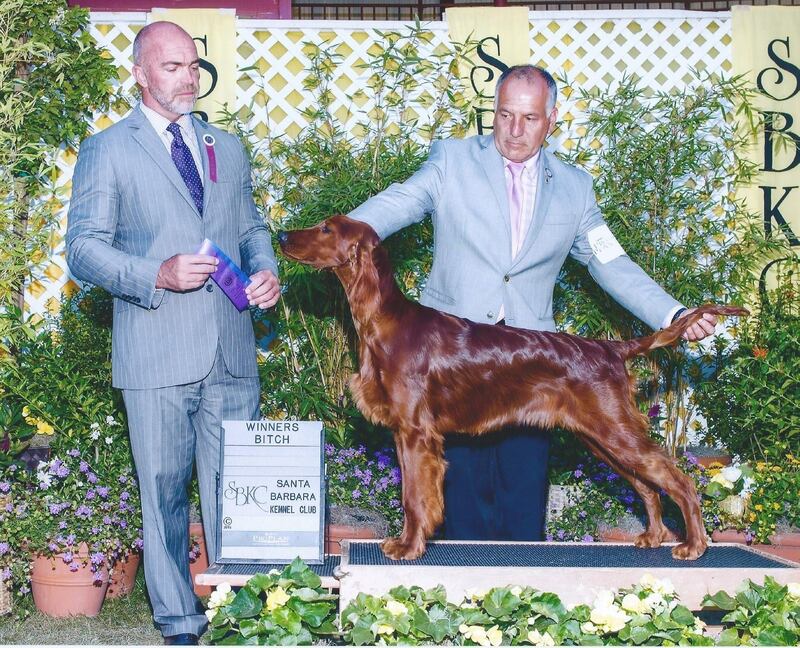 She took several months off and her in her debut as a Special she won Best of Breed at the Southern California Sporting Dog Specialty in Palm Springs. In limited showing she is quickly working her way to becoming a Grand Champion.